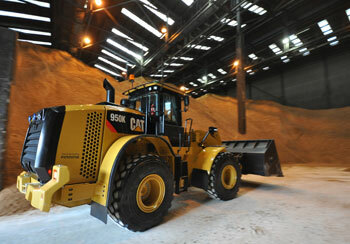 Solent Stevedores was the preferred bidder in January 2008 for the contract to unload over 1.2 million tonnes of raw cane sugar per annum at the Tate & Lyle Sugars sugar refinery at Silvertown, London. 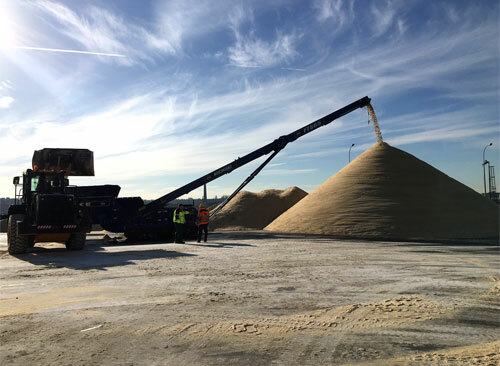 Solent Stevedores provide all machines and staff necessary for the safe unloading of all ASR Group / Tate and Lyle ships carrying Raw cane sugar to their refinery in London. We also provide staff and forklifts for out loading of processed sugar to shipping on the refined jetty at the refinery. Alongside the Stevedoring operation, Solent Stevedores also provide the staff and machinery to the Raw Sugar storage shed which feeds the refinery with raw sugar for processing. "Tate & Lyle operate one of the largest sugar cane refineries in the world on the river Thames, importing around 1.5 million tonnes of raw sugar. In 2007 we decided to outsource all our stevedoring activity and a number of established stevedoring companies were approached. Since taking control of our port facility, Solent Stevedores has completely fulfilled our requirements and expectations. From the very top down they have demonstrated their capability to meet our high standards safely, efficiently and competently. They have re-invigorated our port operations and brought both world class solutions and best practice to our business. Solent Stevedores Limited has made its first investment of Cat® wheel loaders from Finning, with the purchase of two 950Ks. After re-negotiating its contract with the Tate and Lyle sugar refinery, now owned by ASR Group, the port bulk handling specialists process sugar cane shipments from across the world, shifting raw sugar into the plant based on the Thames' edge in East London. Solent Stevedores 40ft containers are loaded with raw sugar using the £100k telestacker recently purchased by Solent Stevedores. The telestacker has assisted our team to maximize stockpiling opportunities for Tate & Lyle at their facility on the River Thames in London. The containers - destined for Sweden at extremely short notice, were fitted with tarpaulin covers that are usually required to be removed by hand using a cherry picker and ladders. By using the telestacker, the tarpaulins were not required to be removed, estimated to save Solent Stevedores at least an hour and a half on loading time. Using the telestacker not only saves time but reduces the risks associated with personnel having to climb ladders and manually remove tarpaulins. From start to finish, both containers were fully loaded with 25mt of Raw Sugar in less than an hour.